It’s almost time for the annual Aviation Festival – a dedicated event for leading professionals from the airline and travel technology sectors to debate, network and explore future developments affecting the industry. Held across 5th – 7th September at London’s Business Design Centre, the event catapults its 3,000 attendees to forefront of aviation innovation, with over 250 speaker presentations from both global airlines and industry-leading brands. This year, we’re thrilled to announce that ParkCloud will be exhibiting at stand 132, giving us more opportunities to meet with existing and potential new partners and further promote our range of parking and ancillary services to attendees. As well as exhibiting, our MD Mark Pegler will also be hosting a seminar on the 6th September at 2pm to address the topic of ‘Driving Maximum Ancillary Revenue’. This insightful session will explore the touchpoints that lead to conversion and look at case studies from industry-leading airlines – one not to miss! Will you be attending the Aviation Festival this year? 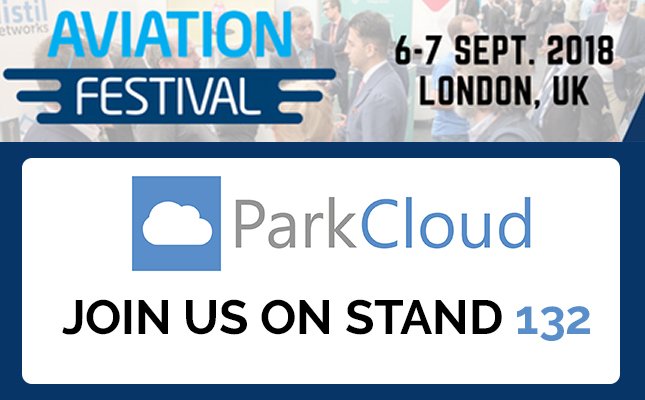 If you’d like to speak to the ParkCloud team, come and visit us on stand 132 or email us to set up a meeting – marketing@parkvia.com.